Happy Holidays! 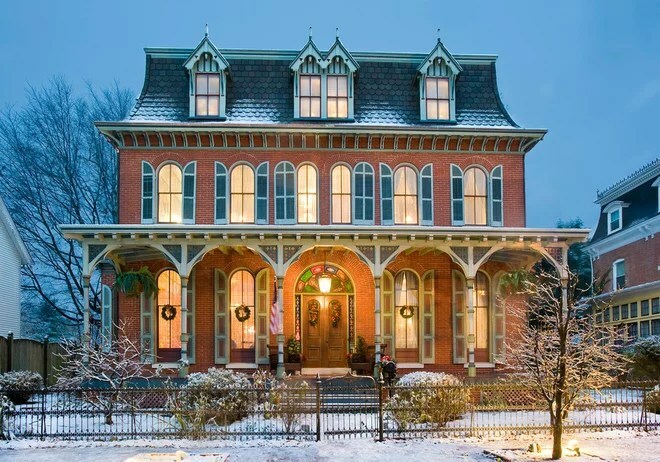 Here a few ideas to keep you on track for holiday and winter weather home proofing. Be sure to check out number 3, perhaps the most important item for us crazy holiday “do it all” types:) Whatever your approach, have a wonderful, warm and enjoyable holiday season. With winter officially beginning on December 21 and holiday festivities around the corner, there is a lot to prepare this month! For those in cold climates, it’s time to begin thinking about snow and ice removal, blocking drafts and getting cozy indoors … and we canall use a good dose of Zen as the busy holiday season gets rolling. Here are 13 home tasks to consider adding to your list this month. 1. Put up holiday decorations. If you like to decorate for the holidays, now is the time! Dig out the Christmas lights and test them early in the month, so you have ample time to replace nonworking strands. Hang exterior lights, wreaths and swags, being sure to use only exterior-rated lights, and plug them in safely to an outside outlet if possible. 2. Plan for holiday home safety. With night falling earlier this month, and many people headed out of town, it pays to be extra safety-conscious — whether or not you are going anywhere. Always lock doors and windows, set your alarm system if you use one and keep the area around your house well-lit and your bushes trimmed back. 3. Simplify your holiday. Take a moment to sit down and really consider what you love — and don’t care for — about the holiday season. No one can do it all, and trying to accomplish too much only creates stress and disappointment. Pick your top three favorite holiday activities or traditions, and commit to doing them this month. Then list your threeleast favorite holiday activities and vow to skip them this year. If you are feeling pressure from friends or relatives to keep doing certain things (i.e., baking a dozen different kinds of cookies), tell them that you are simplifying your holiday this year, and are focusing on the things you love most. Then invite them to share in something youdo want to do, like going ice skating or drinking hot cocoa. 4. Add layers of warmth. 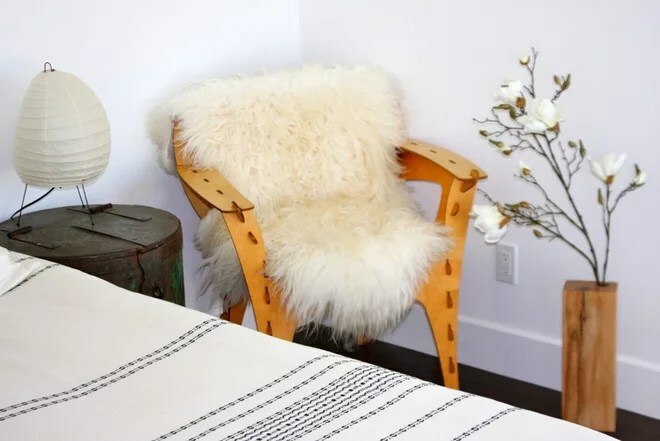 Drape soft throws or thick sheepskins over chairs and sofas, and roll out plush rugs on your floors. 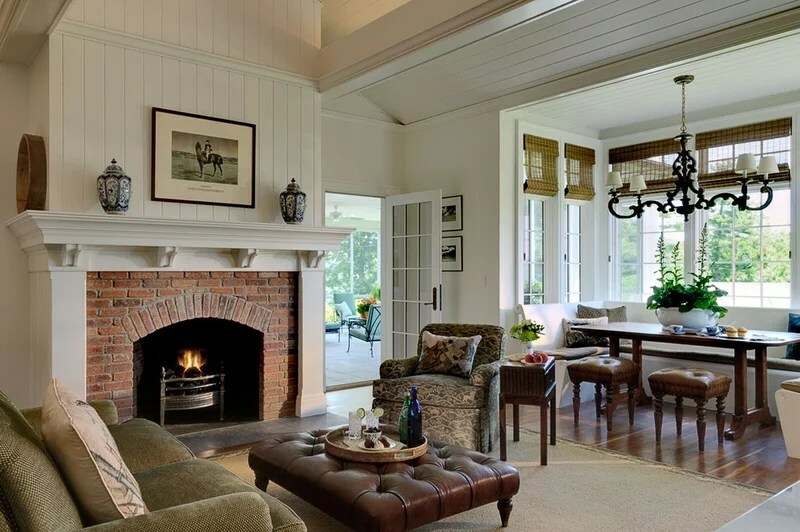 Aside from being decorative, extra layers of textiles provide a wonderful boost of warmth in winter. 5. Add weather stripping and door sweeps as needed. Feel a draft? Don’t ignore it. Apply weatherstripping to the drafty area and your house will feel warmer right away. If the problem is cold air flowing in from under a door, what you need is a door sweep. Usually made from hard plastic, a door sweep attaches to the bottom of your door, closing the gap that lets cold air in. 6. Carve out your own space to get Zen. 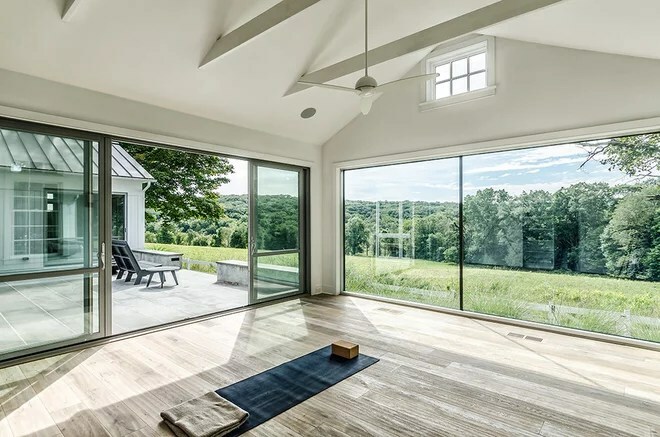 Boost energy and relieve stress during the holiday season by creating your own private space to meditate, do yoga or simply relax. Ideally, choose a sunny corner of your home where you can get a bit of morning sun. 7. Consider a backup heat source. If you live in a cold climate with regular winter storms that sometimes knock out power, it may be beneficial to invest in a woodstove or generator— something to provide backup heat if your regular heat source is unavailable. 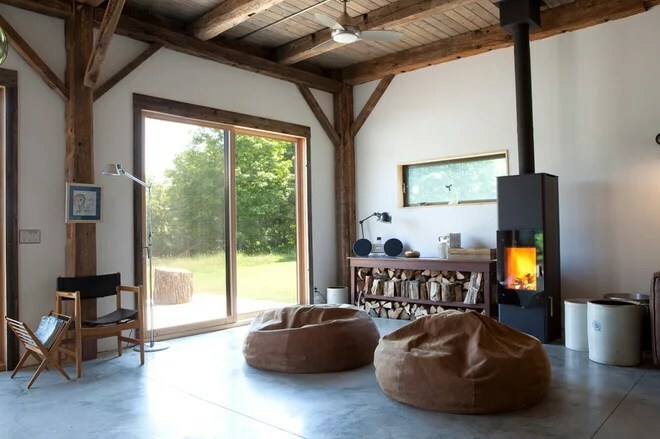 If a woodstove is your backup, be sure to stock up on plenty of firewood. If you decide to go with a generator, enlist a pro to teach you how to set it up and use it safely — when used improperly, a generator can start a fire. 8. Update your emergency kit and store it with your camping supplies. If you already havea household emergency kit, check the expiration dates on food and medications in it, and replace as needed. If you do not yet have one, get one! You may find many of your camping supplies helpful in an emergency, so consider storing your emergency kit and camping gear in the same (easily accessible) place. 9. Beware of sneaky mice and rats (ugh!). Not so nice to think about, but if you see signs (i.e., droppings) that little critters have invaded your home, it’s best to take care of the problem as soon as possible. To prevent future problems, store all food in airtight containers, clean your pantry regularly and seal up any holes or cracks in your home that may lead outside. 10. Keep walkways clear of snow and ice. As we get further along in December, many folks living in cold climates will get their first snow. Be prepared by stocking up on snow shovels and ice melt, and store your tools where you can easily get to them during a storm. Just be aware that certain ice melting products can be harmful to pets and plants — read the labels carefully before buying, and try to keep products off of your lawn and garden beds. 11. Check your roof for ice dams. Ice dams are areas of built-up ice that can accumulate on your roof, potentially causing leaks when they melt. If you can safely reach them, break them up now to prevent future damage. 12. Knock snow from tree branches. Large amounts of snow can cause trees to lose branches, which can be especially dangerous if a large limb is positioned near your home. Use a long-handled broom or other tool to gently knock snow from branches. 13. Thinking about remodeling next year? Use downtime this month to begin creating ideabooks and scouting for pros, and have an initial discussion about the job. Tell us: What is on your home maintenance list this December? This entry was posted in Uncategorized on December 1, 2013 by Tracy Zaik. I am frequently asked about home improvement projects that might aid in the sale of a clients home. Every property is different so I find generalization difficult, but this article has some basic bullet points that are helpful in most home sales. For a more personalized project inventory, give me a call. If you are planning to sell your home, the list of potential improvements to consider before staking that sign in your front lawn probably seems endless. And the numbers can be a bit disheartening — nearly all remodeling projects do not recoup the full costs when you sell your home.But recouped costs do not give you the complete picture. Selling your house quickly, and at your asking price, are goals that the right remodeling projects could help you achieve when you put your house on the market. 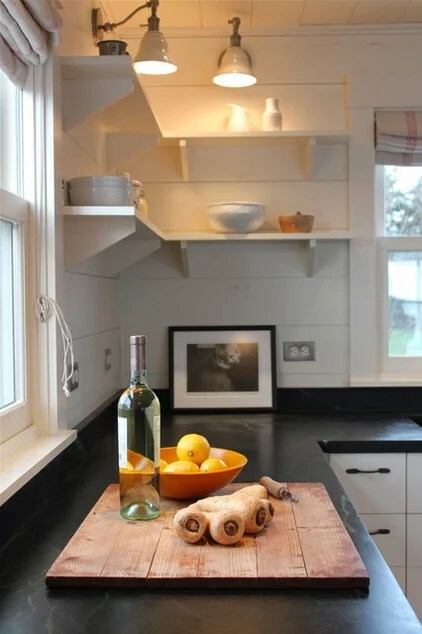 Here’s what I found out from a contractor, an architect and a real estate agent about how to remodel smart and small when you are prepping for sale. Boost Curb AppealAdd a porch. “This is one of the least expensive additions to a home, which gives the absolute maximum curb appeal for the dollar,” says James Crisp of Crisp Architects in Millbrook, New York. 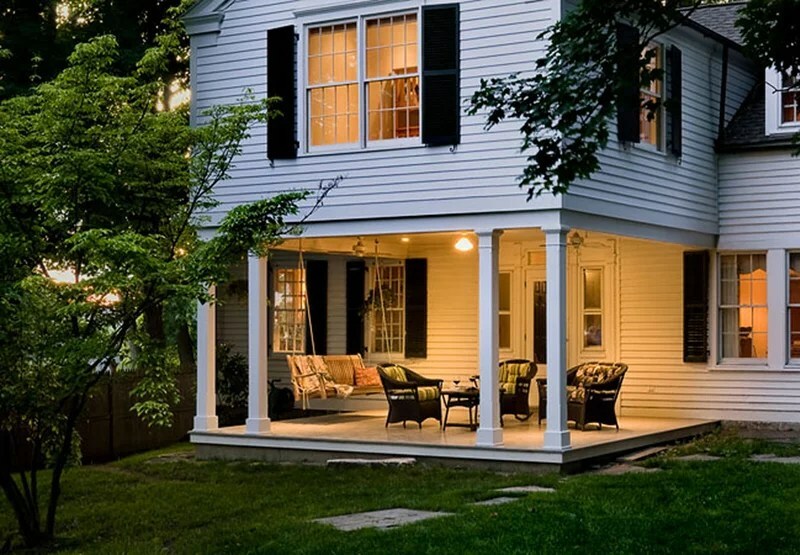 Many potential buyers will make up their mind about about whether to attend your open house based on the impression they get the first time they drive by — and an attractive front porch can be a wonderful way to lure people in. Improve Light and FlowSpring for more windows. “Add windows for light and views,” says Crisp. “Most ‘builder’ homes are from stock plans, which do not take advantage of the views and have nothing to do with the place the home is built.”Not sure it’s worth the splurge? Pay attention to photos of rooms you most admire — chances are, they include generous windows, striking views or both. And unlike paint color choices and decorating decisions, great windows appeal to everyone. Remove walls. Imagine attending an open house where the rooms are difficult to navigate, dark or simply too small and cramped. Not pleasant, is it? “Combine rooms,” advises Crisp. 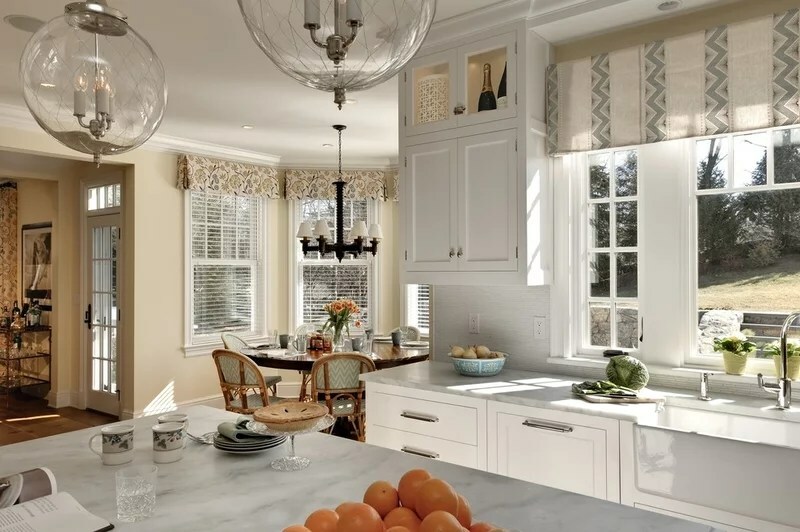 “Our clients almost always want to improve the flow and connection between rooms.”Consider taking down a wall between the kitchen and dining room, the living room and kitchen, or the kitchen and breakfast nook to open up the space. Always check with a pro before removing a wall in your home to ensure structural safety. It’s not worth the risk to do it yourself without assurance that you are not removing a load-bearing wall. Update the Kitchen and Bath Add a breakfast bay. “Breakfast bays can add views, light and character to a home,” says Crisp. 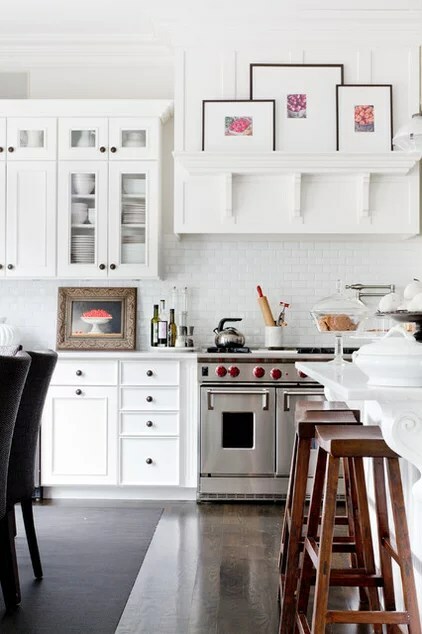 Sure, people want high-end appliances, but “a breakfast bay also is one of the most desired additions to a kitchen,” he says. 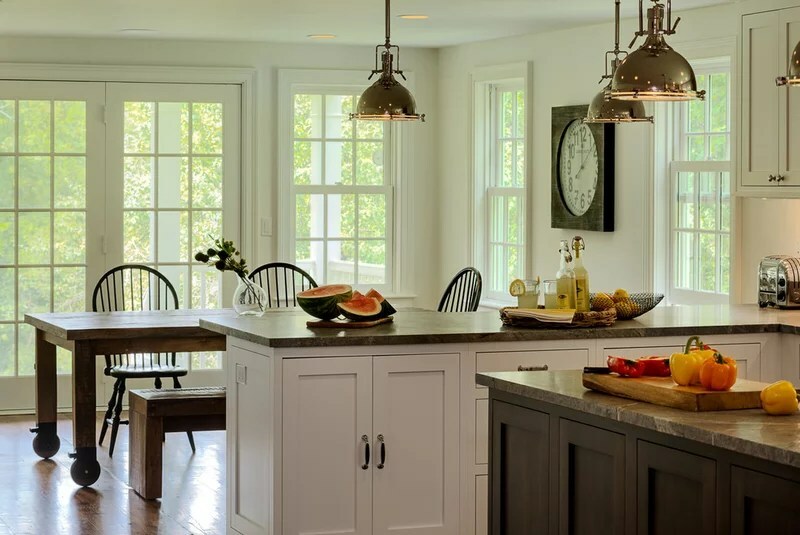 A lovely bay window breakfast nook could be just the sort of charming feature that ends up selling your house.Give your kitchen a DIY makeover. Caroline Bass, an agent at Citi Habitiats in Manhattan, says, “Kitchen renovations can be big or small, depending on how much money you have to invest, but they are definitely worthwhile — most buyers are looking for move-in-ready homes.” If you don’t have a big budget for updating your kitchen, there are still plenty of high-impact things you can do. Make small swaps in the bathroom. 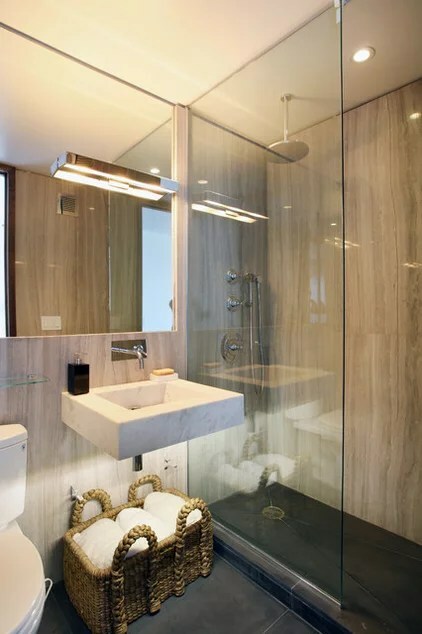 Major bathroom renovations do not typically make the same impact on a home-selling price as kitchen renovations do, so save your money here — and make what you do splurge on count.”Small changes to your bathroom, such as a new vanity or mirror and new lighting fixtures, will make a big impression to buyers,” says Bass. This entry was posted in Uncategorized on November 11, 2013 by Tracy Zaik. Many of us are used to having backyard gathering spaces for family parties, cookouts and cocktails with friends — but why relegate all of your gathering areas to behind your home? 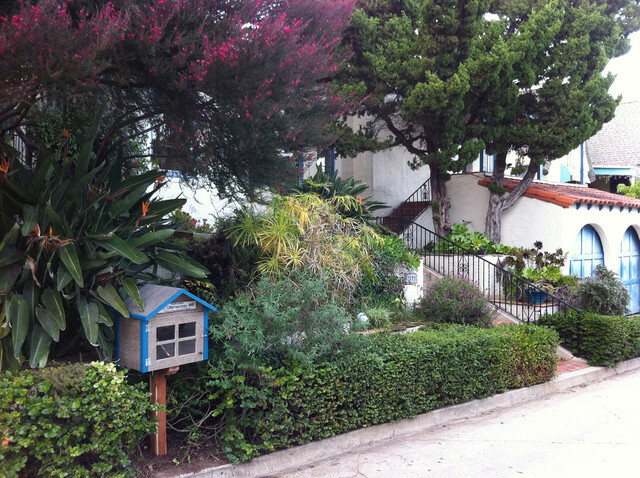 Whether you have sprawling acreage or a more efficient townhouse, your front yard is an opportunity waiting to happen. 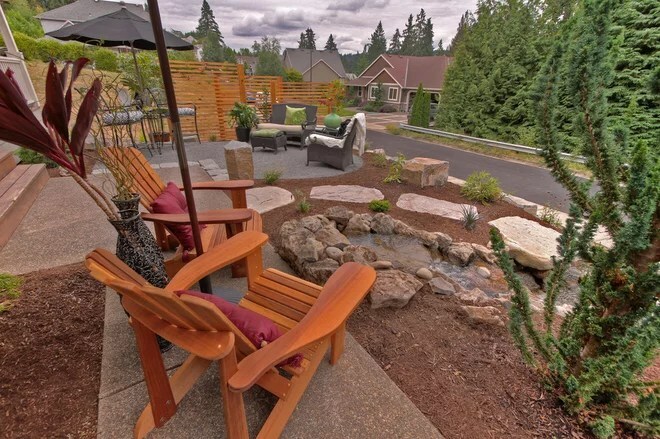 While backyards offer more privacy, front yards are more public, with opportunities to welcome neighbors and connect with your community. Here are some ideas to inspire you. Add a deck. Decks may not be the first thing that come to mind when considering front yard options, but if they work well in the backyard, there’s no reason to exclude them from the front. 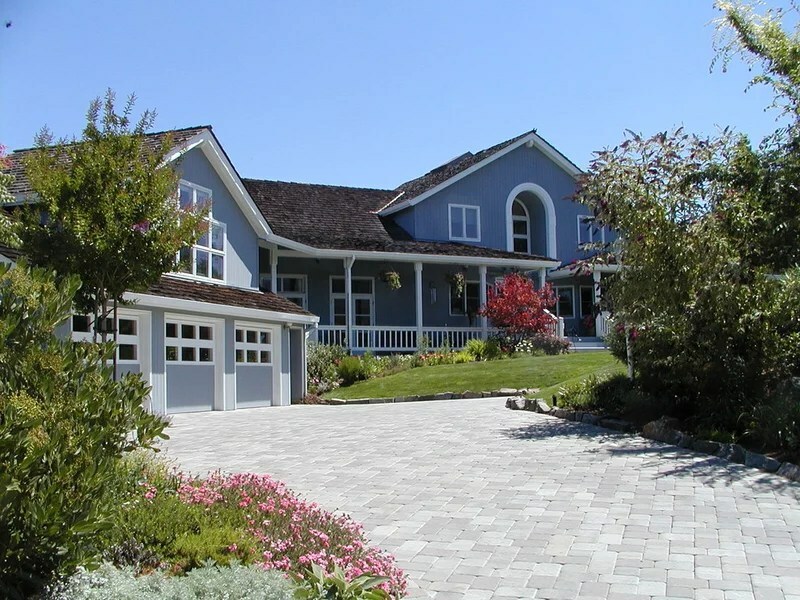 Extend one from your house or create one that is freestanding, but be sure to check your local building codes before breaking ground.Use pressure-treated wood or a composite material for durability and low maintenance, but be aware that composite material can easily triple your materials cost up front. Composite decks are organic looking just by virtue of the wood tone and grain, and are a great option for those wanting to warm up the more public part of their property. Enclose a courtyard. 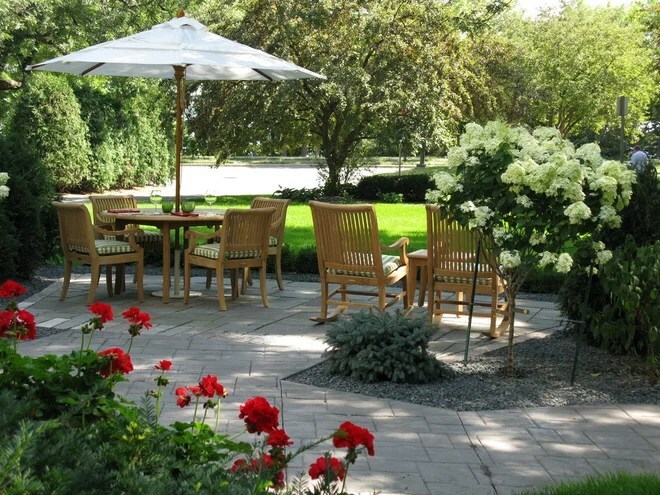 Courtyards are brilliant options for small and large yards alike. 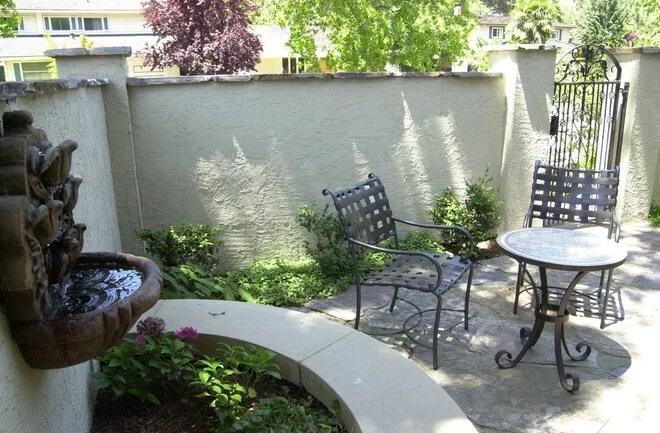 For small yards, a courtyard will be your focal point, and for houses with larger front yards, a courtyard can be a little secret getaway.Courtyards by their nature have walls that are a bit higher and create a sense of enclosure and privacy for more intimate gatherings or a quiet cup of coffee. 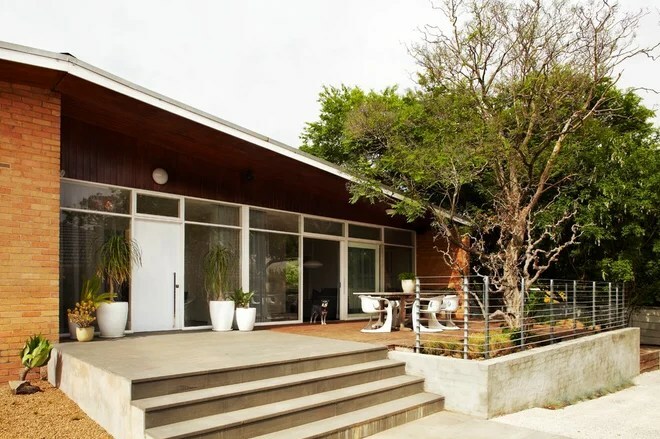 The walls can be stucco, brick or wood, but be sure your chosen material complements the style of your house. Add some soft plantings so the walls don’t appear imposing and stark — that is the last thing you want when you’re creating an intimate space. Create two gathering areas. 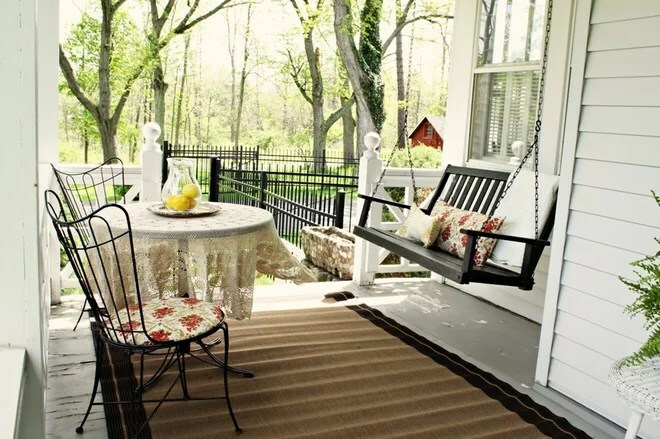 You may already have a porch, deck or covered patio, but that doesn’t mean you need to stop there. If you have the room, create a secondary area for gathering by adding a simple paver or gravel patio with complementary furnishings. 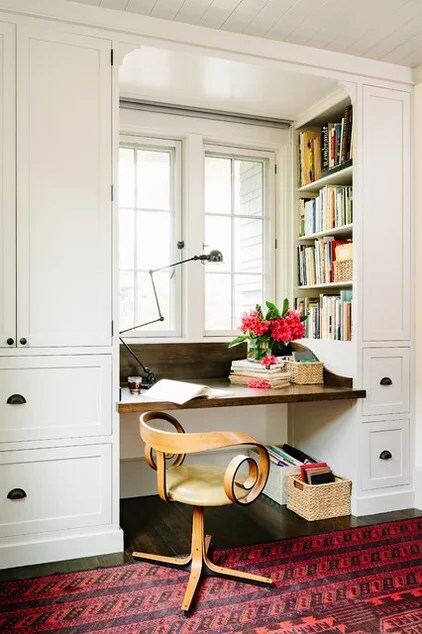 Make this secondary area smaller, so the two areas don’t compete for attention, but be sure to coordinate your materials for a disjointed look. Extend a patio. Have a patio already? Extend it out into the yard, like a courtyard without the walls. Use the same flooring materials as on your existing patio (pavers, concrete, brick) or create a contrast with a different material. 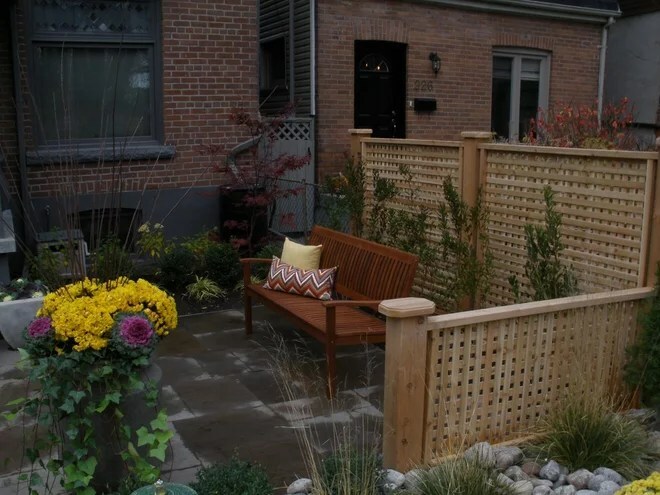 This is a great idea for those wanting a smaller, more intimate front yard space for coffee or one-on-one conversation. Take advantage of your porch. I’ve always loved houses with porches, even if they are tiny ones. 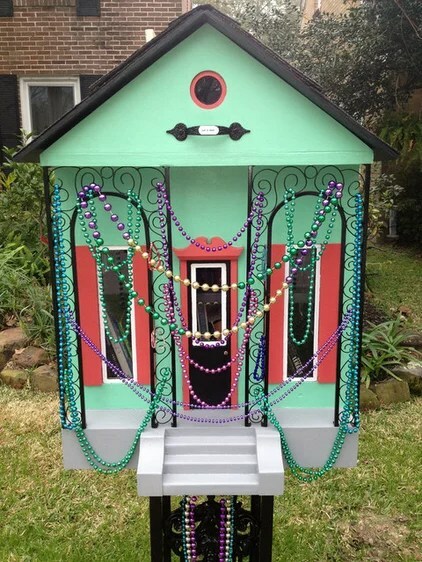 Porches say “welcome” in a way that few other structures can. They used to be the way people socialized regularly with their neighbors — just pour a cold drink and sit on the porch, waving at people walking by or inviting friends up for a chat. 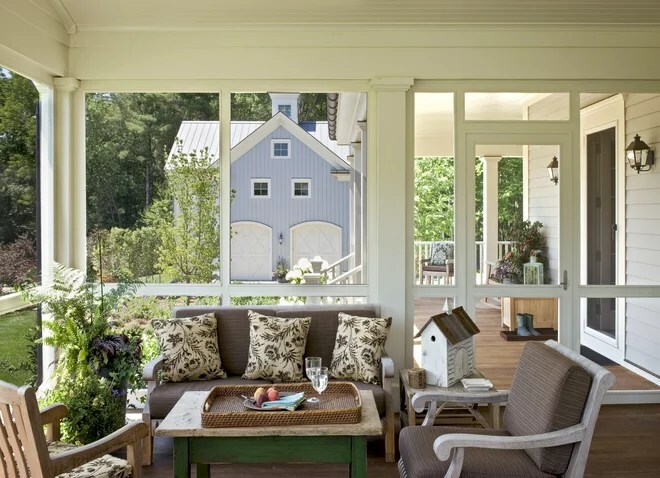 If you have the room, create different seating areas on your porch and add homey accessories to make it feel like an outdoor room. 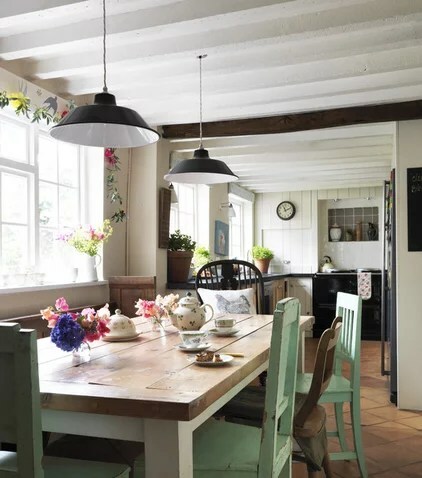 If space is an issue, opt for a charming bistro table with two chairs. Consider simple gravel areas. There’s a reason the French and Italians use gravel so extensively — it is organic, is charming, works with a number of different house styles and is easy to install. Instead of a structure for a focal point, gravel merely creates a base for your furniture to shine against. You can add some oversize pieces of flagstone as stepping stones, as shown here, or leave it simpler. Add an edging material around your gravel area to keep the surrounding grass from growing in — steel edging, bender board and mortared stone are all great options. Add a privacy screen. 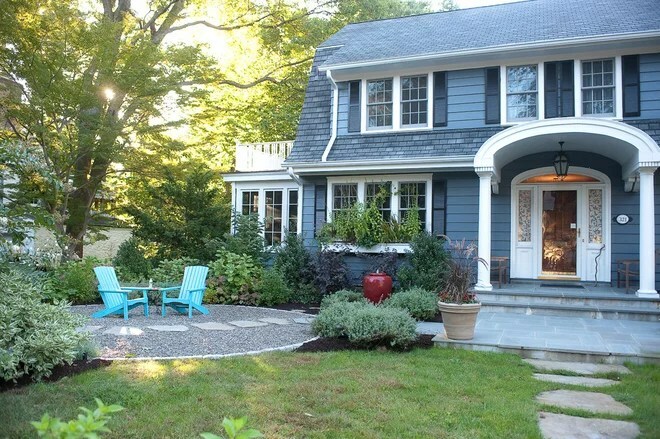 While you want your front yard to be more open and friendlier, you still want to balance that with a bit of privacy. After all, no one really wants to be on stage or display, do they? There are ways to create some friendly privacy so that your message is still one of, “Hello, neighbor!” and not that you’ve built a stockade. 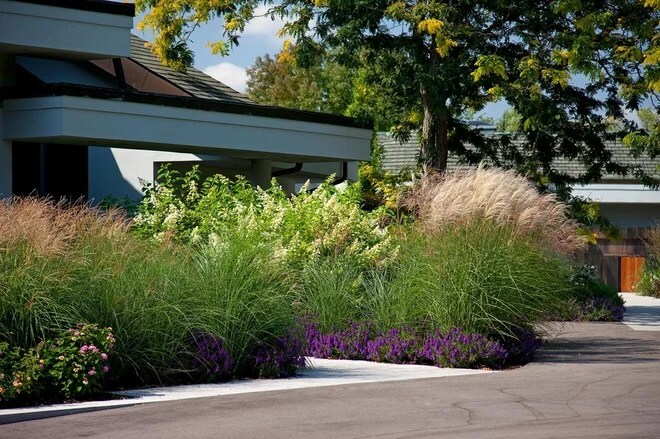 Try some soft plantings near the street or sidewalk, and aim to have the overall height of these beds hover around the waist or the chest. Anything taller, with the exception of an occasional small tree, will be too overpowering and send the message to keep out. 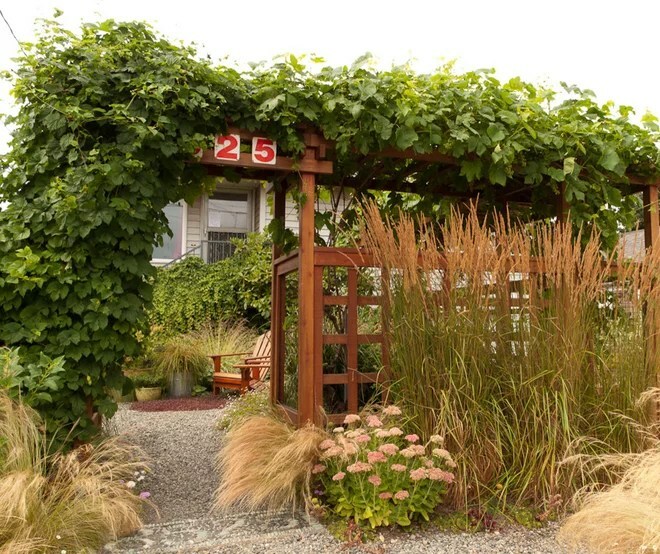 Another way to add privacy and separation is to create an arbor or trellis system — these structures are naturals in the garden, but because of their semitransparent construction, they are still hospitable. Plant some flowering vines to soften the look and add color. Consider creating some low walls with openwork panels. This is especially effective in smaller townhouse front yards, where the only option for seating is directly adjacent to a neighbor’s space. You can still see over these walls and actually through them, but their construction provides a bit of separation and delineation from the neighbor’s yard. This entry was posted in Uncategorized on September 29, 2013 by Tracy Zaik. We all want to be better neighbors — or at least have better neighbors. But what can we do? How do you build a better community for yourself and your family? The answer is actually quite simple: Get to know your neighbors. Just interacting with the people you live near can significantly strengthen your community and spur organization. Ashe Urban, a community outreach coordinator at the SE Uplift Neighborhood Coalition in Portland, Oregon, has seen firsthand how community involvement leads to better neighborhoods. 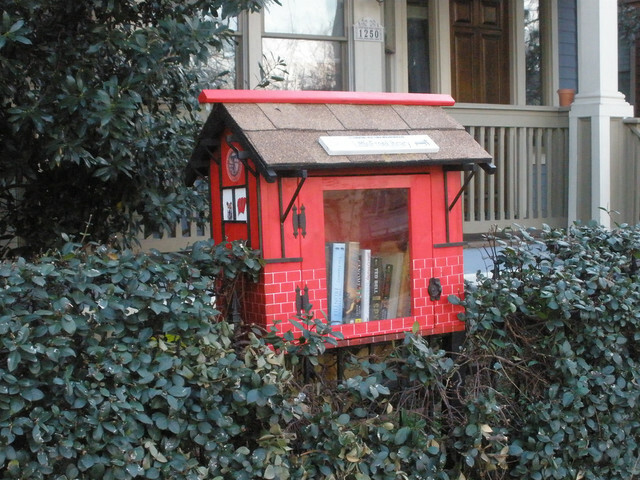 While her city is set up a bit differently than most — a city-commission structure and a financed Neighborhood Involvement office ensure that neighborhood coalitions receive guaranteed city funds that can then be distributed to neighborhood associations throughout the city — Urban says any neighborhood can benefit from a little face-to-face time. Here are 15 ways to get your neighbors working together right now. 1. Paint your intersection. A street intersection is not something you think of as interesting. 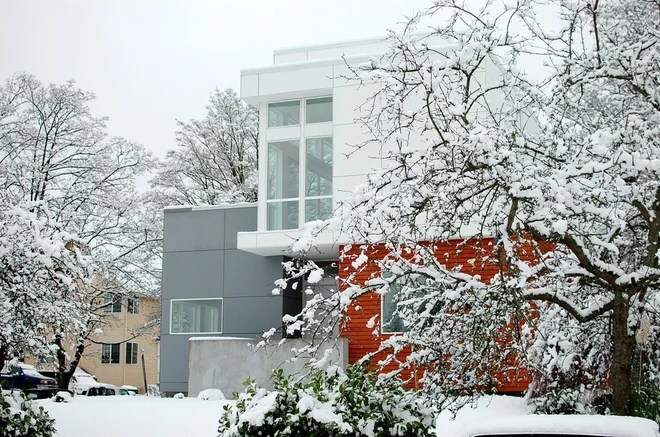 But in Portland, residents in some neighborhoods have made them really worth stopping for. Some paint, creative people and a bright design are all it takes to bring neighbors together and produce something the whole community can be proud of. 2. Make a poetry box. The idea is simple, really: create a box with a glass or clear plastic front. Put this box on a post. Write your own poem or print out your favorite classic and display it in the box for all your neighbors to see. 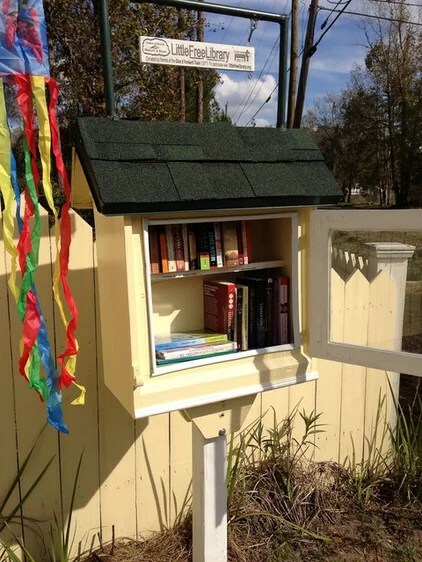 You can also set up a separate drop box and encourage neighbors to write their own poems and drop them in the box. Post the poems from your neighbors as they come in. Don’t have time to build a box? 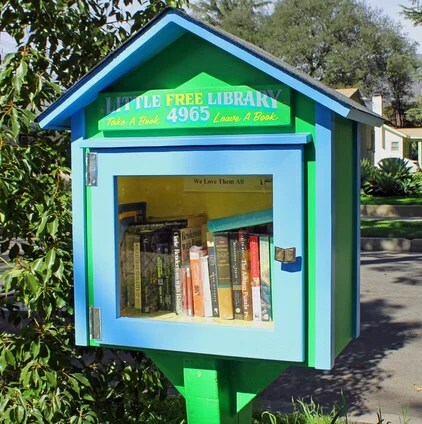 Enlist the help of a poetry box builder. 3. Set up a tool library. How often do you need a leaf blower? Or a chain saw? And how often do you use that electric cake mixer? Tool libraries answer this dilemma by creating a space where neighbors can donate rarely used appliances to share. Check with a local business, community center or church group about space that can house a tool library. 4. 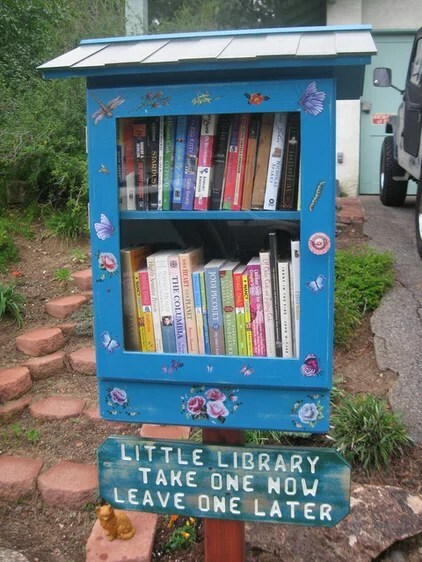 Set up a book library. 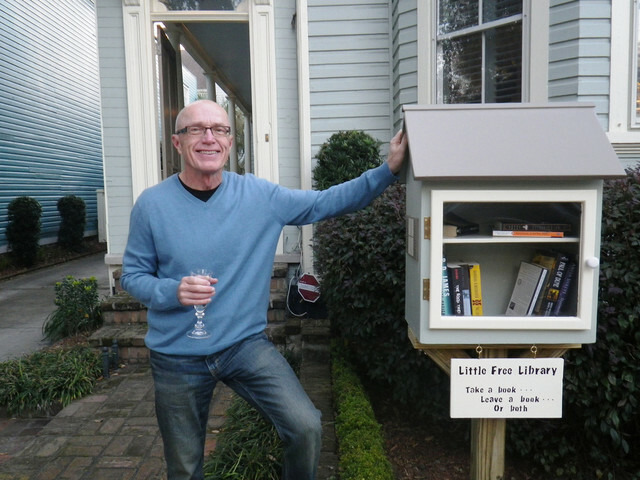 We’ve showed you how to make your own Little Free Library, but architect and photographer John Locke took that concept to a more urban level. He turned old, unused pay phones in New York City into small lending libraries. 5. Turn your front yard into your backyard. How often do you run into your neighbors in your backyard? Probably never. Moving your typical backyard activity to the front instantly makes you more visible and approachable. Establishing front-yard gardens, building community benches and even just barbecuing in your front yard are all great ways to connect with your community. 7. 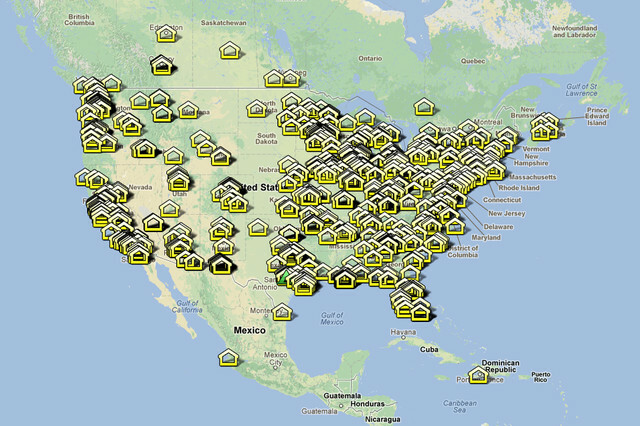 Set up an emergency preparedness network. If disaster strikes it’s important to have people who know what to do. 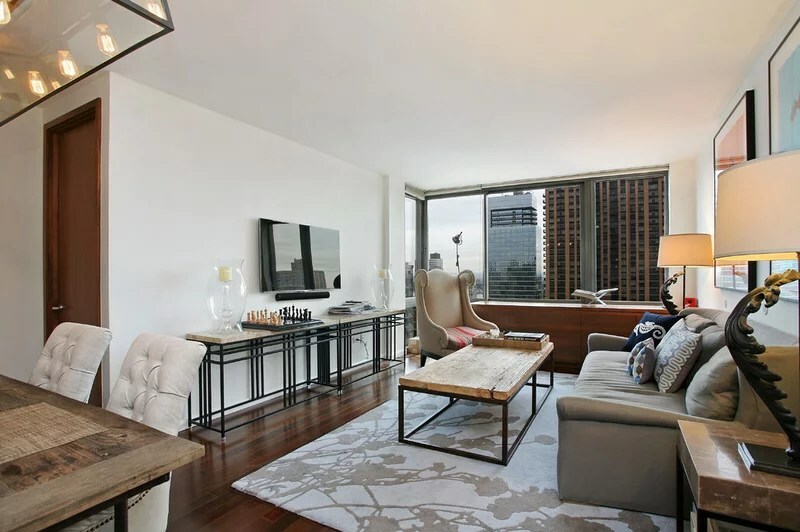 Establishing a common meeting space for your neighbors, appointing community members to take on various roles and having supplies ready can help strengthen your neighborhood and make things less chaotic should that unfortunate day ever come. 8. Organize a garden tour. Got a thriving garden? Why not share it with others? Organize a neighborhood garden tour and invite neighbors to check out one another’s gardens to learn growing tips, sample fresh produce and mingle. 9. Plant a tree. Maybe it’s an intersection or a street corner that lacks greenery, or maybe it’s a neighbor in need of some landscaping, but planting trees is a good way to overhaul your neighborhood and build ties with neighbors. 10. Throw a block party. As if you need a reason to throw a party. There’s no better way to get to know your neighbors than over food and drinks. Some cities make it easier to throw block parties than others, so check with your city about any permits needed. 11. Tell a story. Storytelling nights are popular in Portland. Neighbors get together at coffee shops or the library to tell stories about things that have happened in their neighborhood. It’s a great way to hear about your neighbors’ lives and get to know them. 12. Go for more walks and bike rides. One of the best, easiest things you can do to get to know your neighbors is hit the pavement more often. 13. Carpool. Oftentimes people living in the same neighborhood work in the same area. Set up a ride share in your neighborhood to save gas and money and to get to know your neighbors. 14. Buy and shop locally. You’re more likely to run into members of your community if you shop at local boutiques and grocery stores. 15. Brand your neighborhood. It’s important for communities to feel important and establish an identity. Some residents tackle this by creating their own logo for the neighborhood that they put on banners to hang on light poles and other places around the community. Tell us: What do people in your neighborhood do to get people interacting? This entry was posted in Uncategorized on June 30, 2013 by Tracy Zaik. Home buyers purchasing energy-efficient properties could qualify for larger mortgages than their incomes would normally allow under a Senate bill reintroduced Thursday with broad real estate industry support. The measure would allow lenders to include projected energy savings from efficiency upgrades when measuring the borrower’s income against expenses and the value of the home against the debt. In addition to giving borrowers larger loans in new purchases and refinancings, it could also lower their interest rates. The government already promotes so-called energy-efficient mortgages under a Department of Housing and Urban Development program. But the proposed legislation would require lenders to take the projected energy savings into account when presented with a qualified energy report. The senators originally introduced the bill in 2011, and although it attracted support from groups across a broad political spectrum — including the United States Chamber of Commerce and the Center for American Progress — it failed to gain approval. The sponsors have broadened its appeal within the real estate industry, chiefly by eliminating provisions that could have penalized older, less efficient homes or those lacking a report based on estimated energy consumption. How the bill will fare this time around is unclear. Its proponents in the Senate say they are hopeful it could pass, possibly as part of a comprehensive energy bill introduced by Senator Jeanne Shaheen, a Democrat from New Hampshire, and Senator Rob Portman, a Republican from Ohio. The proponents say the changes could curtail energy use, reduce greenhouse gas emissions and increase the market for conservation upgrades. The legislation would apply to loans guaranteed by the federal agencies that collectively back roughly 90 percent of new mortgages. In the absence of a home energy report, which would come from an approved third-party inspector, the home’s energy use would not become a factor. But lenders would provide applicants with information about the benefits of investing in energy-saving upgrades and counsel them on how they could go about doing so. According to Senator Bennet’s office, a household’s average energy costs can run to more than $70,000 over the life of a 30-year loan, more than the real estate taxes and insurance payments that are already taken into account during the underwriting process. 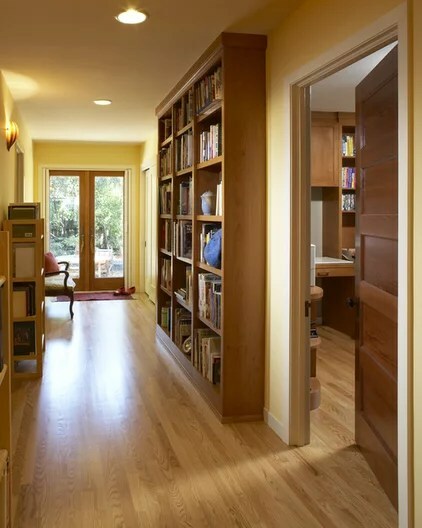 Investments in insulated hollow-core doors, double-pane windows and insulated floor-joist systems above crawl spaces can reduce the average home’s bill by at least 30 percent, a value that does not always translate into a higher purchase price. If passed, proponents say, the proposal could help close that gap, in addition to promoting energy conservation and construction jobs, generating $1.1 billion a year in savings for consumers by 2021. Loan applicants could expect to gain about 5 percent more borrowing power on average, said Cliff Majersik, executive director of the Institute for Market Transformation, a nonprofit group that promotes energy efficiency in buildings and helped shape the proposal. This entry was posted in Uncategorized on June 13, 2013 by Tracy Zaik. My husband and I began dating when we were still children. He was 16 and I was 15, back in the olden days when people still talked on the phone and wrote letters. By the time we got married and had three kids, we had almost 20 years of correspondence. I came across our box of cards and letters a few years ago and read it in one sitting. Afterward I had the urge to travel back in time and smother my teenage self with a pillow and maybe Paul’s too while I was at it. Failing that, I considered burning the box. I called Torey, my sister, instead. Finally I called Tanner, my older brother. We laughed about the conflicting advice Torey and Nathan gave, and then he was silent for a moment. “How do you know how far you’ve come if you can’t remember where you started?” he asked. That resonated with me. I tucked the letters back into their box, and there they remained, untouched, until the day they burned in a house fire. And I have never given them a second thought. Looking back I can see I really wanted to get rid of them but didn’t think I ought to — that was the tension. It wasn’t that I didn’t know what I wanted to do, it was that what I wished to do conflicted with what I thought I should. This is why decluttering (and losing weight and managing money) can be so painful; it’s the tension from the many feelings, often in conflict. Simply being aware of what’s underneath the surface can help us through. There are some common reasons we hold onto things we don’t want out of a sense of obligation; see of any of the ones here resonate with you. 1. “It’s a family heirloom.” Even if the value is only sentimental, how many things do you hold onto because they were your grandfather’s or your aunt’s, dentist’s cousin’s? My dear friend Sharon inherited her grandmother’s china. In the plus column it was beautiful, valuable and from a beloved relative. On the minus side, it wasn’t really Sharon’s style, and it reminded her of some painful parts of her childhood. 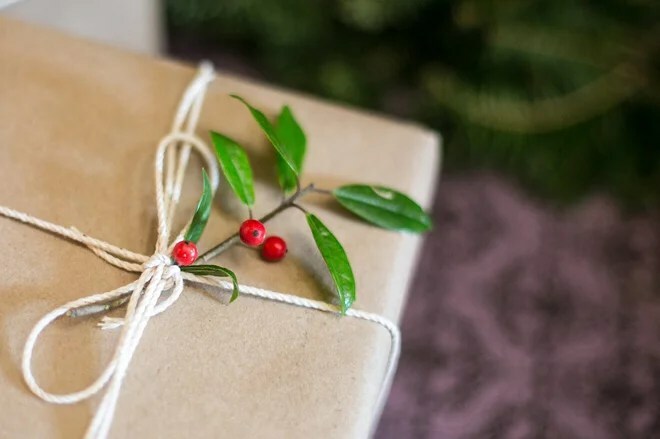 She decided there were better ways for her to remember her grandmother, and wrapped up the china in a big box and gave it to a mutual friend who collects the same pattern and for whom it was a surprise and a delight. 2. “It was a gift.” After our fire we were flooded with donations. In the first weeks, I sorted through truckloads of things people had given us. I was so thankful for the incredible generosity and, at the same time, there were so many things that didn’t fit or that we didn’t need. It wasn’t long before I got over any qualms I had about passing things on to various charities. Now I assume a gift is truly mine to do with as I please. 3. “I may need it someday.” This comes up across the spectrum, from overbuying consumables to storing extra furniture. This could be the biggest one of all, and at the bottom of it is fear. A subcategory of this is: “I’m not actually sure what it is, but it may be important!” A few months ago I was sorting through a drawer in my desk and came across a random screw. It was thick and substantial; I knew it belonged to something.And then I recognized the old and familiar tension forming in the pit of my stomach with the thought, “Keep it! Keep it! You may need it!” I’m happy to say I reminded myself I had survived losing everything and was not going to allow an anonymous bit of hardware to freak me out. 4. “I paid a lot of money for it.” That’s a big one. If you’re in the midst of a big purge, I don’t recommend trying to sell your things, for a couple of reasons. First, it will probably slow you down. Second, when you feel like you’ve wasted money on something you don’t need, you probably aren’t going to make enough from its sale to take away the sting. It may seem counterintuitive, but the most positive thing to do may be to let go, give it away and move on. It’s a paradox that the more we let go, the more control we gain. Ultimately, that’s what this is all about: taking control of your home instead of being subordinate to your possessions. For some, when we talk about minimalism, it conjures up images of stark interiors, the idea of not having enough or of things being taken away. To me minimalism ishaving what you love, but not a bit more than you can maintain. How that looks in your home may differ from how it looks in mine. It comes down to creating the home you long for. Life, like art, is all about removing and editing to make room for what you truly want and need. This entry was posted in Uncategorized on May 26, 2013 by Tracy Zaik. 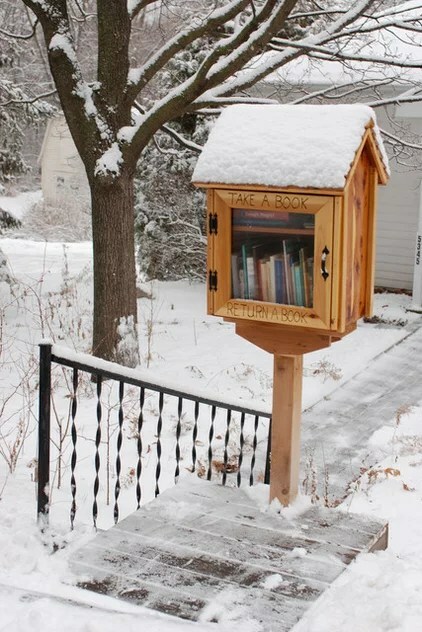 Book It: Bring a Mini Library to Your Front Yard Take a book, leave a book. 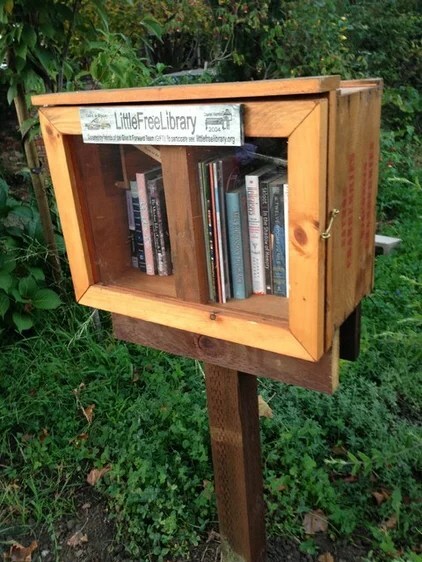 Little Free Libraries are all over the world. 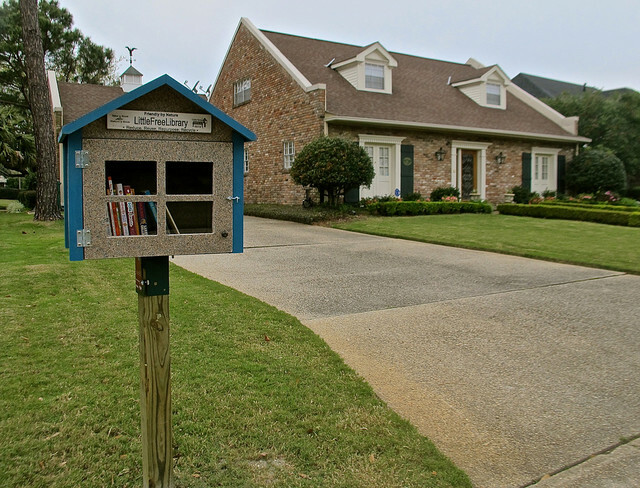 Go to the organization’s site for a world map of front-yard libraries and to see how to make your own. This entry was posted in Uncategorized on March 30, 2013 by Tracy Zaik.